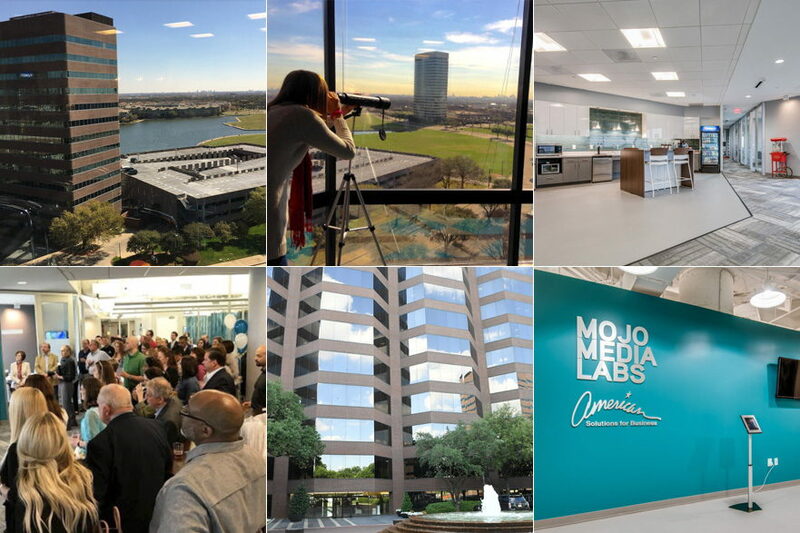 Founded by Mike and Nikole Rose, Mojo Media Labs Dallas (also Mojo Media Labs headquarters) is nestled in the commercial and cultural hub of Las Colinas, just minutes from the DFW Airport. Located on the top (10th) floor of an office building adjacent to Lake Carolyn, Mojo Dallas offers guests and Mojo Makers alike a state-of-the-art office experience in addition to a scenic view of the Dallas - Fort Worth metroplex. The Mojo Dallas team focuses primarily on delivering expert marketing strategy & execution to B2B companies in the Healthcare, Technology and Manufacturing space and is the recent award winner of both the DFW American Marketing Association's "Marketer of the Year" and "Healthcare Marketer of the Year". Mojo Dallas is also the North Dallas HUG (HubSpot User Group) leader helping to grow the HubSpot community in the Dallas - Fort Worth area. We may not be close to beaches or be within walking distance of Wrigley Field, but we do have free drinks and snacks, a beer tap and wine fridge, sit/stand desks and an onsite gym.